Canon's CEO, Mr. Fujio Mitarai gave an interview to the Nihon Keizai Shimbun recently. Fujio pointed out the market for digital cameras could shrink to about half in the next two years and he plans to shift the camera business's focus to corporate customers. "In our company cameras have declined at around 10% a year (sales volume) in the past few years (combined with single lens reflex and mirrorless) The world market for interchangeable lens cameras is around 10 million, but decreased The mirrorless product is growing, but it is a replacement with a single lens reflex, it is not adding to the market as a whole "
"People usually shoot with smartphones.The digital camera market will keep falling for about 2 years, but professional and high amateur (advanced) amateurs use about 5 to 6 million units.Finally there I will hit the bottom. " I do not disagree with his assessment in general but I think the speed and size of the decline Fujio expects is too pessimistic. 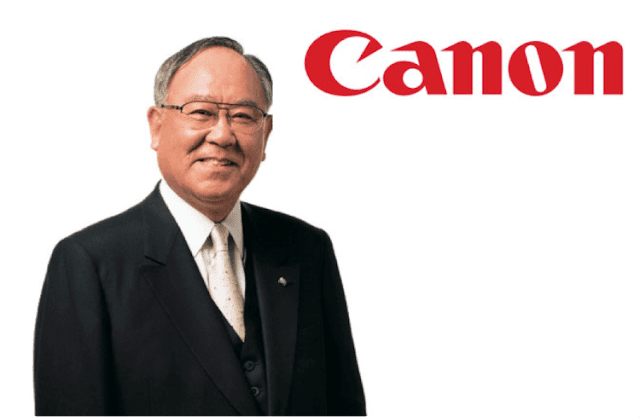 Canon is a huge, diversified conglomerate with a proven track record and will definitely be a survivor. It begs the question how many current camera/lens company will still be around in the next 5 to 10 years. My view is high end DSLRs and Super Telephoto lenses will be around for a long time to come. High end full frame mirrorless cameras will get better and eventually the two camera systems' features and functionalities will converge to form a duopoly, much like the gasoline and electricity powered vehicles we see on the road today. There will be enough of a market for both systems to coexist long into the future.